A tragic car accident occurred this past Sunday. The car was speeding and ended up rear-ending another vehicle. The driver, unfortunately, wasn’t wearing her seatbelt and was fatally injured due to crash injuries. According to the CDC, more than 50% of all people killed in car accidents each year were not wearing a seatbelt. An estimated 30,000 people are killed each year in car accidents. 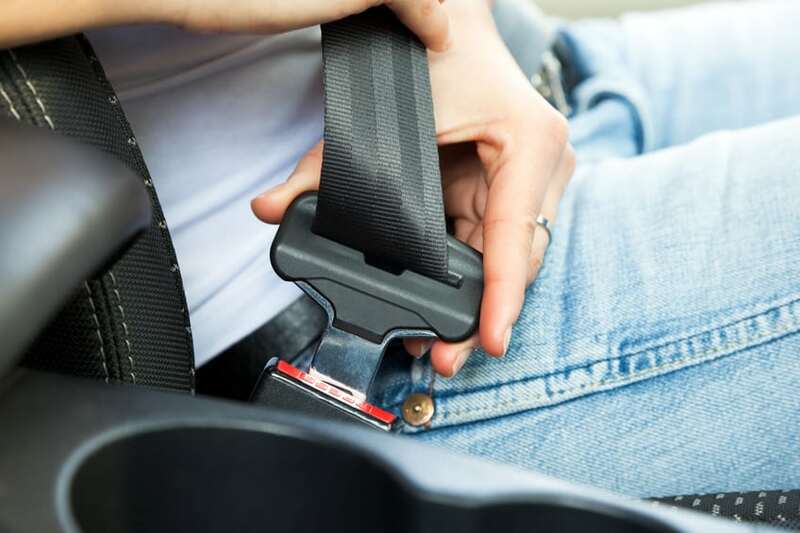 Thousands of lives and injuries could be prevented each year in the U.S. if seat belts are utilized. According to a report by the National Highway Safety Traffic Association, seat belts reduce the risk of death and serious injury. Drivers and passengers in the front seat reduce the risk of death by 45% when a seat belt is used. Serious injury is reduced by 50% with a seat belt. A rear-end collision can quickly turn into a serious accident if someone is properly secured in the vehicle. The CDC found that people who do not wear a seat belt are 30 times more likely to be ejected from a vehicle during a car wreck. Roughly 3 out of 4 people ejected from a vehicle will have fatal injuries. Thousands of lives are saved each year because of seat belts. We all know individuals who make a habit of not wearing a seat belt. Understanding the statistics, along with actual stories of victims can encourage people to start wearing one. There are two types of seat belt enforcement laws, “primary” and “secondary.” States make the decision on which one to enforce. Primary enforcement of seat belts means that a police officer is allowed to pull someone over if the driver – or their passengers- aren’t wearing seat belts. Secondary enforcement only allows officers to issue a ticket for a seat belt violation if the drivers have been pulled over for some other offense as well. According to the CDC, seat belt use is 9% higher in states with primary seat belt enforcement. There are currently 19 states that do not have primary enforcement as of 2010.